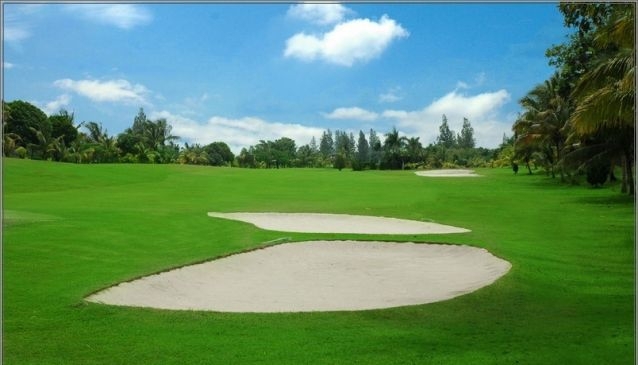 Situated 500 metres above sea level and just a 30 minute drive from Selaparang airport, Rinjani Country Club Golf Course comprises of an 18-hole international standard championship course. The course has a large size of tee ground designed specially to ensure convenient driving shooting and sits at the foot of the stunning Mount Rinjani, with previous golfers suggesting that the surrounding contributed towards the whole golf experience. The course was architected by Jack Nicklaus and has two different nine-hole layouts that allow for play ability for all level of golfers, covering 76 hectares of land. One layout is on a flat landscape encircled by palm trees and coconut tress, whilst the other layout is full of variation, and includes tropical Indonesian trees and flowers. The club house with a restaurant inside, personal villas, a swimming pool, pro shop and coffee shop can all be found within the vicinity as well as an art shop and locker room. English and Japanese speaking caddies are available. You can send an email to Rinjani Country Club Golf Course by clicking here.